Kindergarten kids will love these Valentine themed beginning sound cards! Looking for a fun way to reinforce letter sounds? 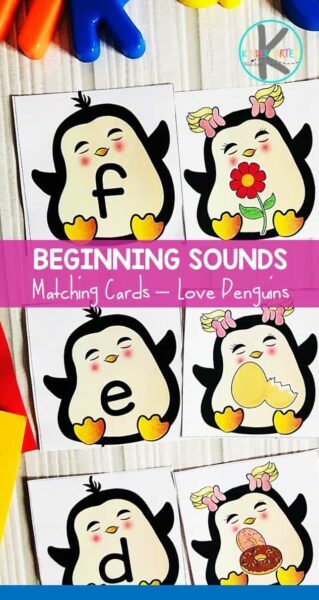 These printable puzzle cards will kids identifying the beginning sound letter and pictures, then match them to build their love penguins. Print as many sets as you need for the number of students in your class – you could also print these cards in greyscale (choose this option before you print them out). Need an engaging beginning sounds activity this February? 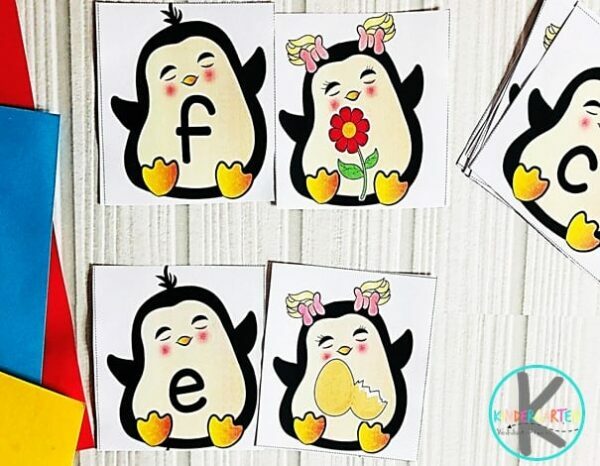 These fun puzzle cards will get kids to identify the letter shown on the male penguin card, find the matching beginning sounds picture found on the female penguin and match the pieces together. Firstly, have the male penguin cards in a deck and then spread the other beginning sounds picture cards on the table. 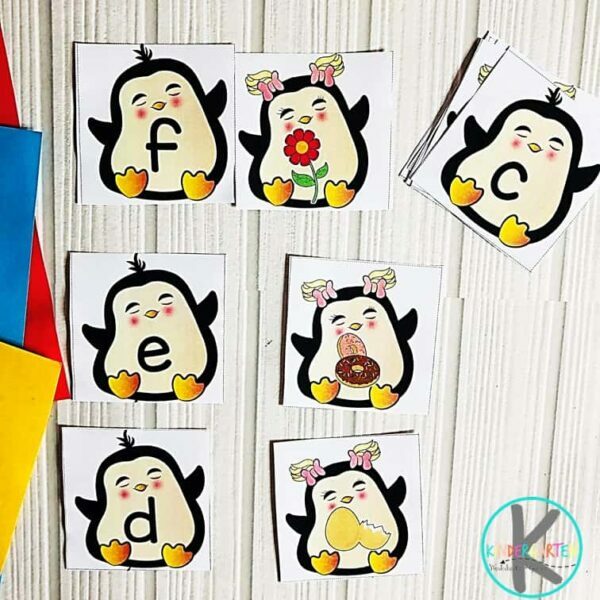 The kids will then choose a letter card, they identify the letter on it ‘b’ and then go looking for the matching beginning sounds picture card on the penguins. Once they find it, they take these two cards and lay them out next to each other. They continue this until all their cards are done. Another way you could play this game is print it out in greyscale with two or three pages on one sheet, then tell the kids to cut and paste the penguins into their notebooks. These will make for great keepsakes or even independent practice. Want to challenge your kids further? Play these game as a scavenger hunt! Place the beginning sound picture cards around the room and then have the kids go looking for the matching picture cards. They can do this in a group as a competitive fun game! 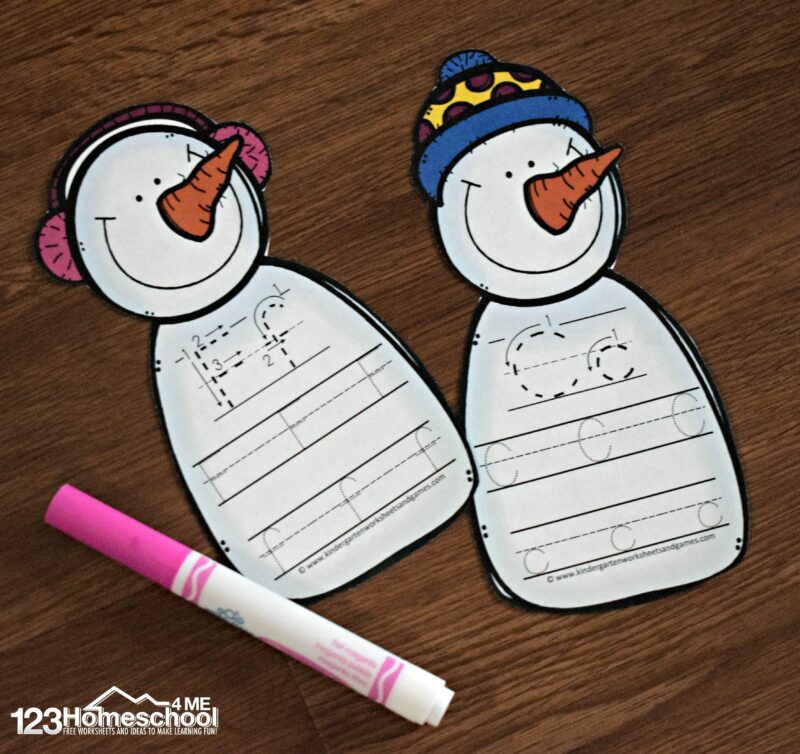 These super cute FREE Snowman Letter Practice make it fun to practice writing uppercase and lowercase letters from A to Z. Kids will love playing with this amazing, 2 ingredient SNOW DOUGH that is actually cold to the touch! 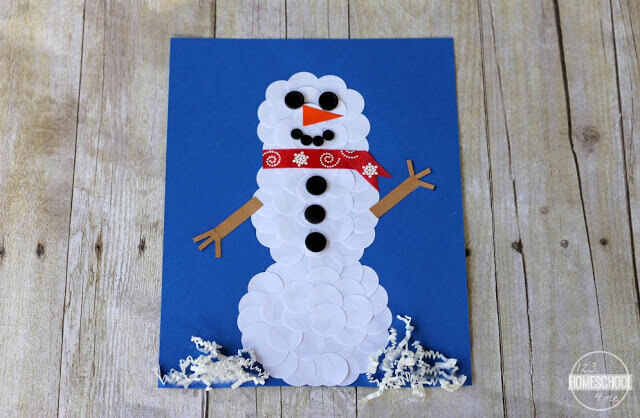 This super cute Snowman Craft uses circle stickers to create this fun-to-make winter craft.